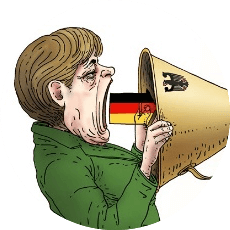 Guest Post by Aivaras Jefanovas. 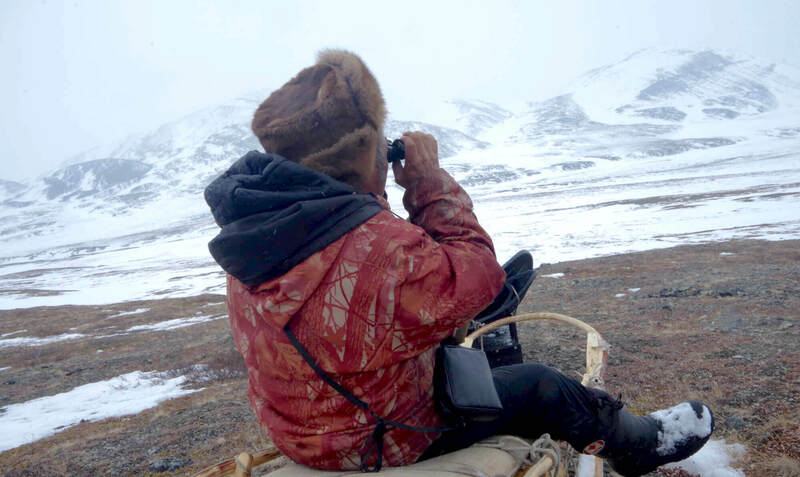 This is the first fieldwork diary entry about my research with the human-animal relationship among a small Even community of reindeer herders/hunters of the Yakutia North. The article will describe my fieldwork experience and initial analysis of the ethnographic data using MAXQDA that are a part of my larger dissertation research. I have recently finished the first phase of participant observation, in which I nomadized together with the reindeer herders between the Siberian Taiga and the village. My investigation rests on full involvement in local community life; not just learning about the people but living and learning together with them. I believe that close interactions within the community open doors behind which the raw, ‘real’ life is hidden from outsiders’ eyes. Moreover, forming relationships with the community would be impossible without personal immersion; this means that the researcher has to join the people in their routines and take part in their daily work and be together with them in the moments of sadness or happiness. This fieldwork diary entry will demonstrate my first attempts to sort, code, and categorize my field data with MAXQDA. I will also outline how my MAXQDA training and new approaches to analyzing the data with MAXQDA has raised new ideas for me that I would like to apply in my upcoming fieldwork. My strategy was to nomadize together with the local herders by only temporarily staying in the village and moving back to the Taiga with them, repeating the cycle as they did. Thanks to this strategy, my relationship with the community members has grown and snowballed. Most importantly, my relationships have opened up new opportunities for me to visit several households many times and collect interviews as well as oral histories from research participants. Life in the Arctic is always complicated, even for Even reindeer-herding communities whose members are born among the reindeer and grow up in the Artic’s cold and harsh environment. Every aspect of life depends on the reindeer: warmth, food, clothes, transportation, money – the entire culture. Evens usually say that without reindeer, there would be no Even nation. Surprisingly, survival there does not solely have to do with strength. The most successful members of the community are people capable of taking on the challenge of any kind of job that needs to be done. As I have learned, participation in the daily life of the Evens is a challenge in itself. Sometimes, after a hard day, I only had the night-time left for writing down my field notes. The Even community strongly relies on maintaining relationships and reciprocity. People are always moving between the Taiga and their village. Most of the families have a house in the village, but the men usually spend long periods of time in the Taiga with the reindeer. Meanwhile, most of the women have a job in the village and only move to the Taiga for shorter periods. Children attend the village school and join the herders during the spring and summer holidays. Herders always have a purpose when returning to the village; they meet with their families, restock their provisions, and exchange or sell goods. 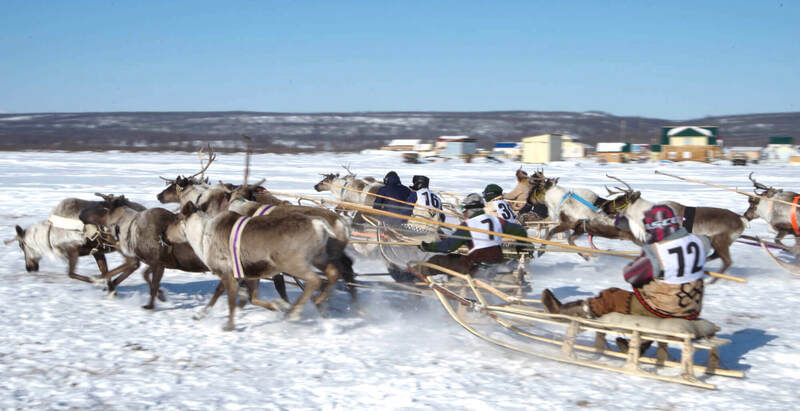 Special events and celebrations, such as the Reindeer Herders Day festival also take place in the village. 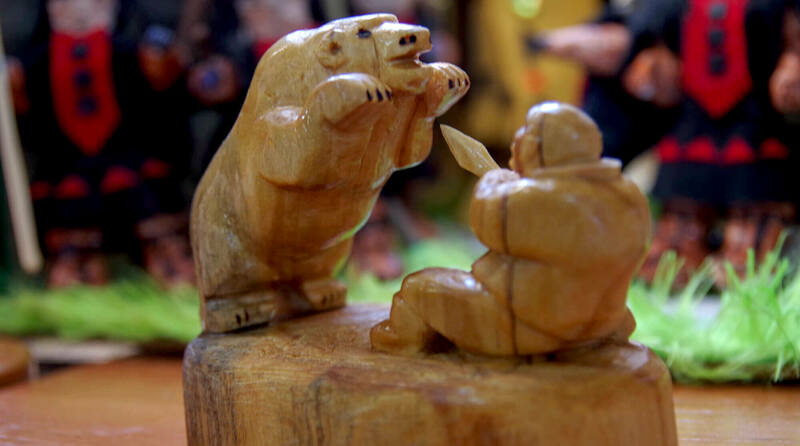 People from all across the neighboring regions and the Taiga attend the festival to compete in competitions and win prizes. Since ancient times until today, people and predators have coexisted in close proximity in the Taiga. Usually, autochthons consider predators to be dangerous pests and rivals, with whom there is a constant struggle for the reindeer. On other hand, autochthons perceive predators respectfully as intelligent and sensitive creatures capable of observation, fast-learning, and able to trick people. People don’t usually say the true names of predators, such as “bear” or “wolf”, out loud, preferring instead to whisper “grandfather” or “long tail”. 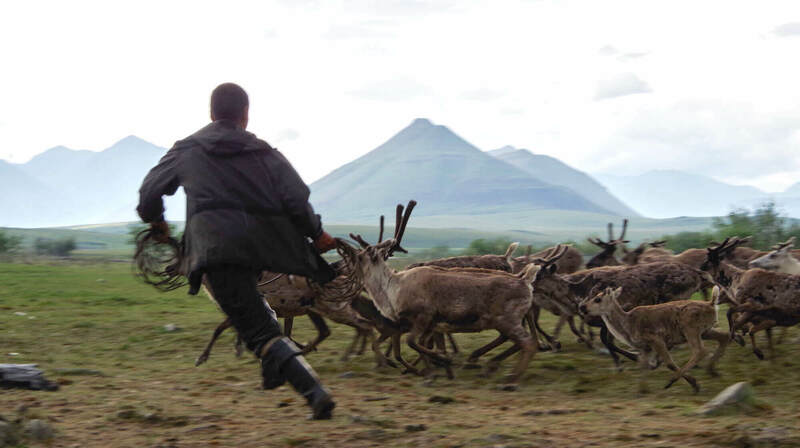 Predator hunting is always a big event in the reindeer herder community. People usually keep silent before going out to hunt, believing that talking can bring misfortune, and herders usually just refer to their activities as “going to find lost reindeer”. However, there is a tiny change in the mood, almost unnoticeable to outsiders, marking the hunter’s face with their true intentions, and no words are needed to understand it. I believe that learning to pick up on such subtleties is one of the strengths of the participant observation method for data collection. People may not necessarily act in the same way that they say they are or will, and the researcher must be able to pick up on non-verbal clues in behavior. Without personal immersion, it is almost impossible to uncover such aspects of indigenous life that are covered by silence. Starting out, I tried to write down all my interview and observational data immediately on my PC. I soon realized that the opportunities to charge my battery in the field are very limited, so hand-written notes and audio records suit my fieldwork data collection methods far better because I can write notes down quickly and there is no need for special prep work. It is much easier to carry notes or a Dictaphone in your pocket and writing down observations while “on the move”. Moreover, people seemed to get used to these observation techniques more quickly, hence they haven’t disturbed the natural flow of locals’ daily routines. 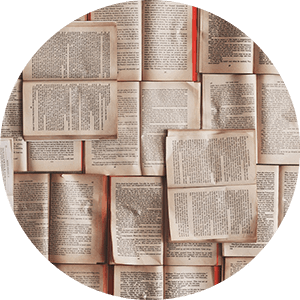 That said, the biggest disadvantage of these data collection methods is the vast quantity of unorganized data that needs to be transcribed and digitalized. To start with, I have separated observations and the notes on my own experiences from interviews and oral histories. I created separate documents groups in MAXQDA, which is a convenient way to organize different kinds of data so that it can be better compared in the later stages of analysis. I then organized all the materials in the groups of documents chronologically. This technique allowed me to reconstruct the natural order of events and helped trigger my memory, which resulted in me being able to store additional information using MAXQDA’s memo function. I also found it very convenient to transcribe audio files in MAXQDA’s Transcription Mode. It makes the process faster because you can immediately code newly-typed texts as you transcribe. Using MAXQDA to transcribe my interviews and oral history data also allowed me to quickly jump to certain points in the audio file I was working on – you don’t lose the connection with the text because the transcript and the recording are linked to each other. This function was particularly useful for an interview with a group of people I analyzed since I was able to repeatedly check what was said, e.g. about bear hunting by one hunter in response to others’ comments and then immediately check how the conversation affected the answer to my question. Coding is one of the most important steps that I took to structure my field data. The themes generated will eventually help structure the chapters of my dissertation or ideas for an article. First, I used MAXQDA’s coding tools for creating initial codes and subcodes. I simply ran through the transcribed documents and typed new codes as soon as they appeared in my mind. After I’d formed this base code system the subsequent coding process went quickly; MAXQDA allows you to easily drag and drop text segments onto the relevant code (or vise-versa). Initial code systems often contain a lot of themes and subthemes that overlap, so the next step was to optimize it. I also took this stage as an opportunity to include unexpected concepts that I had not considered before going into the field. For example, the discourse around death I observed became an interesting theme in my research because local people talked about it often. I noticed that almost all their story-telling and legends ended with death, so I decided to include this theme in my research as a new idea. Coding photographs with MAXQDA was also a very creative method I used to retrieve unexpected information. Using this tool, I could code segments of images and deal with them just like any coded text segment by dragging and dropping it onto a code. While coding, the images triggered my memory and helped me reconstruct very subtle details from my fieldwork. 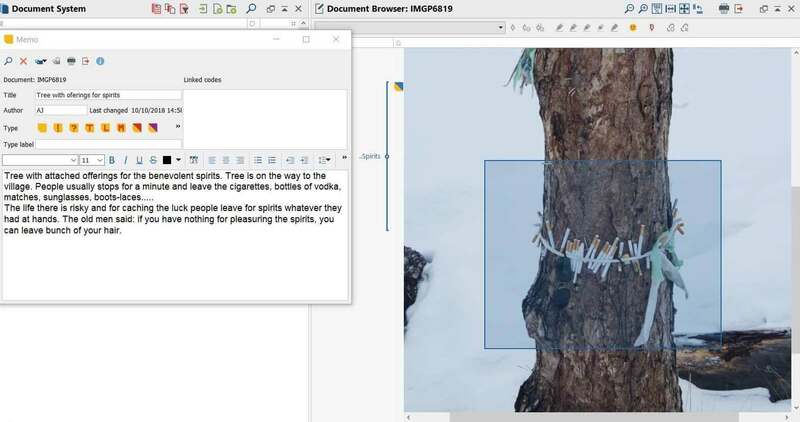 For example, I coded a photo in which a tree with attached cigarettes, bottles of vodka, and a piece of cloth was pictured. When I zoomed in on the image, I suddenly noticed that sunglasses and boots-laces were also on the three and that there were matches stuck in the bark. “Wow …”, I thought, and once again realized that the life of the community members there is risky and they will leave whatever they have at hand for the spirits they believe in, in order to improve and ensure their good fortune. I remembered the old men saying: if you have nothing with you to leave to please the spirits, you can just leave a lock of your hair. I used MAXMaps to optimize my initial code system by visualizing the relationships between different codes and categories. 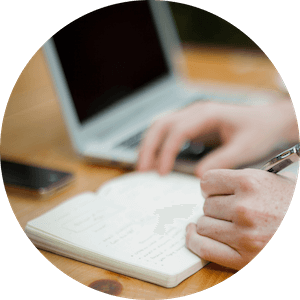 The good thing is that the tool is easy and simple to use – it’s especially helpful when you initially have few ideas about how to start organizing your codes. First, I arranged all the codes and linked them in the way I thought they were related. I decided to distinguish between the core categories and what I call the ‘side’ categories to set aside and analyze later (or use to describe the background of events). I also found it very useful that you can select different symbols and colors in MAXMaps, making it easier to customize the unique elements. I colored core categories in blue, less significant categories in red, and least significant in yellow and could thereby visually draw the hierarchy of codes. The core theme of my topic is the Human-Animal relationship but after visualizing my code system, I found more core themes that have expanded my interests. I was then able to merge several related categories into one theme and shorten my list of codes. I also created an expanded map with my subcodes. You can automatically import subcodes to the map, which in turn stay linked to the codes. Again, by visualizing my codes, I was able to easily merge some of the related subcodes into one or re-order the subcodes under parent codes that they corresponded better with. Moreover, I noticed that some names of themes were long and it was useful to shorten them too. Thanks to MAXMaps, I have optimized and shortened my code system. I plan to take further steps later and use the Code Relations Browser to visualize overlapping codes and to optimize my code system even further. I have successfully applied MAXQDA for the initial organization of my field materials and my analysis so far has inspired me to go forward and explore further tools that could be beneficial for my PhD research and analysis. As I move on to the next phase of my research, the data analysis phase, I will continue optimizing my code system using the Code Relations Browser to visualize overlapping codes, and then use the Code Matrix Browser to visualize the co-occurrences between different codes. Second, I would like to utilize MAXQDA’s text retrieval functions for deeper analyses, and I will also continue to improve my skills with MAXQDA’s visualization tools. I have enjoyed working with MAXQDA as it triggers the creative process and, most importantly, generates new ideas in my research. The most intriguing new idea that keeps captivating my mind concerns the death discourse. In the coming field season, I plan to explore this phenomenon and I am going to apply MAXQDA analysis techniques to find out how it relates my topic. Aivaras Jefanovas is a recipient of the 2018 #ResearchforChange Grant. He is a PhD student in Ethnology at Vilnius University Institute Of Asian And Transcultural Studies. 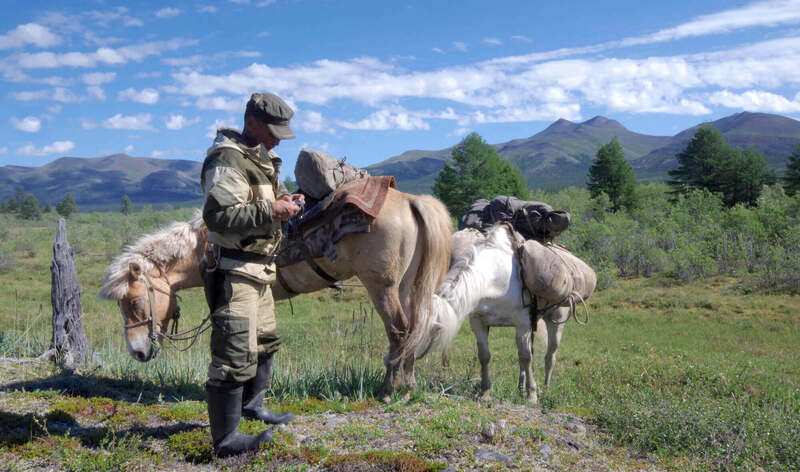 His research project titled “Investigation of sociocultural relationships between humans and animals among Siberian reindeer herders and hunters” began in March 2018. He is currently working with an Even reindeer herder community (formerly called Lamuts) in the Sakha Republic, located in Russia’s Far Eastern Federal District, a territory known for its severe climate. Find out more about how he will continue to use the grant in his upcoming fieldwork diary entries, coming soon!